After coming through with Pineapples as a day party, SickFlip puts together an after hours weekend vibe that might just fit in perfectly if you've had a strenuous week & are looking for a party with handpicked fresh ingredients, great music & large vibes holistically. 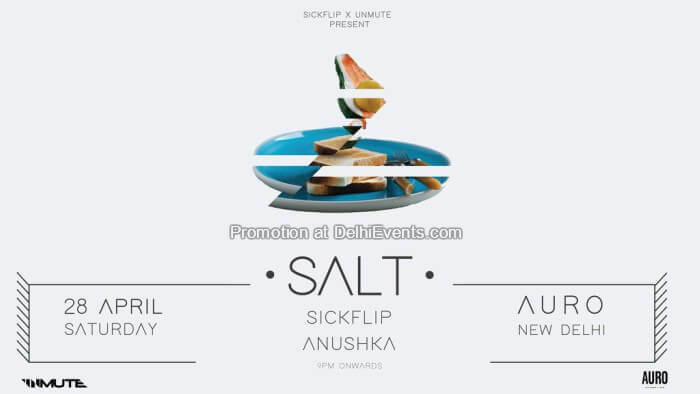 ‘SickFlip’ is an electronica solo project brought to life by Sarvesh Shrivastava - a music composer, producer and performer from Mumbai, India. Musically, SickFlip has an indefinable mix of calm / serene / melodic vibes and atmospheres to contrasting bass-heavy / chest rattling festival smashers. The stark contrast as a mix of these sounds gives the ‘Flip’ side its resonance. ANU$HKA, one of India’s leading fashion and beauty photographers has always been deeply rooted within the music scene. With a large appetite for experimental sounds, DJ’ing became a way for her to share her love for music. Never confined to one genre her sets span over all kinds of bass heavy genres such as trap, breaks and DnB with a touch of dark techno and electronica.